WHAT THE HECK ARE YOU ON ABOUT NICOLE? OKAY OKAY BUT WHAT IS THIS ACTUALLY ABOUT? I think sometimes we all have our issues, problems and difficulties that we all go through and sometimes it would just be nice to talk to others about it! Share experiences, feelings, advice etc. Trying to help each other out through times of need! Going to doctors for me, like I know many others is a pretty petrifying experience and likewise talking to family and friends we see every day, who we laugh and joke with, who we love very much can still be pretty difficult! 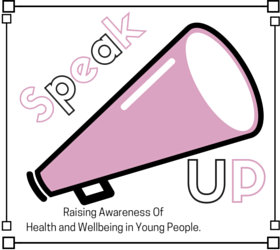 So to help out #SpeakUp aims to create a loving, supporting and friendly community made up of bloggers who want to help raise awareness of these issues that can affect young people! Through different ways ( which I will get to in a minute) we support those who need a little bit of help and provide a place where bloggers can talk, share and most importantly speak up about these very important but often overlooked areas of young people's lives! I use the term ' young people' broadly as I am very aware of that some of the topics we will be discussing are universal and affect all ages! Primarily, this community will be based for bloggers between the ages of 11 to early twenties but really anyone can get involved! Both genders are welcome too! So what will you actually be talking about Nicole!? The topics are going to varied but mainly based around topics that affect young people's health and well-being, for example, mental health, body image, peer pressure, alcohol, careers, friendship etc. The list really does go on! THATS GREAT BUT HOW IS IT GOING TO WORK? Okay, the million dollar question! Every week there is going to be a post up on my blog dedicated to a new #SpeakUp topic! For the first couple of weeks I am going to be writing the posts but after that I want to get you guys involved ( I will get to that in a minute) Next week, I am going to doing a post close to my heart about my battle with my skin and acne. Alongside these posts, of course, the comments will always be open for discussions and what not but I want to go one step further! I want to start a community chat! On that topic I have talked about that week, I am going to be doing a bit of a chat/ discussion/ advice sharing thing on twitter! The chat will be on a Thursday between 8-9pm. It is very hard to find a time that is suitable for everyone but I will go with this for now and see how it goes! BRILLANT! BUT HOW CAN I GET INVOLVED? Of course, after reading the post that has gone up earlier that week on the topic ( there is no set day for this by the way), you can get involved in the chat on twitter on a Thursday between 8 pm -9 pm using #SpeakUp. However, of course, I have not experienced every problem that young people will ever go through so it doesn't sit with me that I can talk about it and give advice on something I know little about, which is where you guys come in! 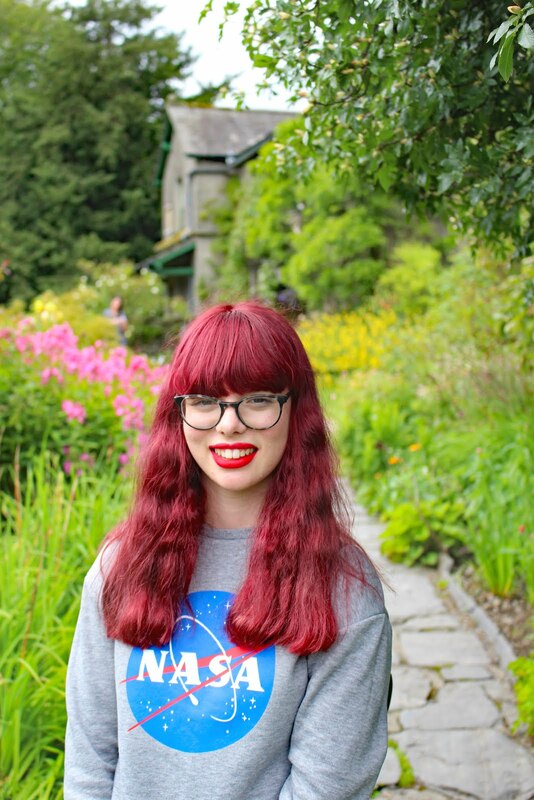 If you are experiencing, experienced or want to speak up about a topic you think affects young people then you might have the chance to do a guest post for my blog! To get in touch simply send me an email to thriftyvintagefashionbusiness@mail.com with an outline of the topic you want to write about. I will try to fit in as many people as I can in but numerically the month dictates it will be around four as there are four weeks in a month! Not only is this a perfect opportunity to promote your blog but, more importantly, an opportunity to help others and to share advice about an issue that affects you! You will be doing your bit for the community and hopefully spreading happiness and positivity to others! WHAT ESLE CAN I DO NICOLE? If you are interested in becoming a member of the #SpeakUp community then you can copy the HTML code at the end of the post within the grab box and place it into the sidebar of your blog which will show the #SpeakUp button, which I designed myself! This will advertise to others you are supporting the community and will hopefully get as many people involved as possible! Also, if you are interested then please do click the click below, also, to sign up! Click the Join #SpeakUp link right below this paragraph! It's best to do it on a computer as it doesn't always work on phones! It will just ask you for your name, blog URL, twitter handle and email address! Your twitter handle and your blog URL will be put in a spreadsheet so everyone can follow each other and find new members of the community to support, talk to etc. Only I will see your email address, it's so I can keep in contact with you in case I need some more guest bloggers! Your email address will never be shared with anyone else and you don't have to add it in if you would rather not! This is so exciting! What a great idea, can't wait to get involved!! Would love to write something too. This is amazing! Huge congrats! Would love to get involved! This is a lovely idea and one I'm very excited about. I probably won't be able to make the Twitter chats as I'll be at work then (boo!) but I plan to support this as much as I possibly can. Thanks or putting yourself out there. This is a really great idea Nicole. I see so many bloggers wanting to express themselves but struggle to do so. Count me in with the chat lovely. I love this idea, I wish there was something like this when I was about 15 so I could find support from likeminded people! Definitely will try to get involved with the chats! Would be looking forward to joining you on Thursday! :) This project is much needed. I'd love to get involved in this, it's such a great idea! This sounds amazing! Well done Nicole! Such a great idea :) Cant wait to see it come alive! This is an amazing project and I really think it can make a difference to people. I would absolutely love to be involved, so I'll keep an eye out for new posts and do my best to make the Twitter chat! Fantastic idea - I really can't wait to see how it develops. This is such a great idea and I can't wait to get involved!